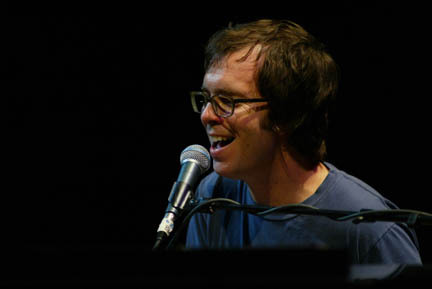 i need to apologize to ben folds for publicly bashing his new album online. i was naive and had clearly not digested enough of your album to write a decent album review. Way to Normal is pretty great. not life-changing, but great. i still think you’ve gotten angry, or maybe you just fooled me all those years with songs like “brick” and “jesusland“. i guess you’ve just taken your anger and put it into pretty chords and terrific harmonies. you rule man. i’m sorry. you’re still in my favorite artists on facebook. Previous Previous post: >life isn’t supposed to be like this. Next Next post: >10 ways to eat more bacon.